No, I'm not talking about the USMNT's gutsy, opportunistic, cleansing Group G victory over Ghana in the larger sense. I am talking specifically about the nearly universal backlash to my 5.5 rating for midfield cop Jermaine Jones. Of course, that grade is a shade below average, so I certainly did not hammer the guy. I also do not wish to run down his overall effort (which included tons of running, plenty of solid positioning and some decent second half work helping Da Bease in his corner). However, I do want to explain my reasons for the grade. They are quite simple, really. Let's just get this out of the way, because it is the most obvious and least egregious of my concerns from last night. The Nats had 32% of the ball and Jones, along with Michael Bradley, has to take a fair share of the blame for that. They both can do so much better, as we saw in the last game against Nigeria and had seen so many times before that. Jones completed only 17 passes and five of those were backwards. He did pick up an easy assist for a nice touch out by the sideline, but one would be reaching to consider it a play made. Back to the main point, he also had a handful of bad giveaways, including two dispossessions in Beasley's corner. Many observes of all stripes have been pushing Jones as their Man of the Match, which I find rightly odd considering Kyle Beckerman easily had more impact right next to him and Cameron/Besler/Brooks were so busy ushering out crosses. In all, the team required 43 clearances, the second-highest total ever for a US team in a 90-minute World Cup match. 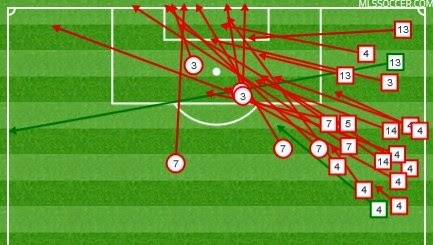 Check out how many Ghana crosses emanated from Jones territory. At the intermission, I always scribble some general team notes and a stray few for individual players on my ratings scratch pad. My very first jot at the break last night was, verbatim, "HELP CLOSE SOMETHING DOWN!!!" next to Jones' name. Thirteen crosses (marked by squares) and a pair of long shots (the circles) came out of his zone, a great many of them in the first half. That is well more than came out of DMB-ville, and he is being widely criticized for his failure to close down space on ball carriers. To me, Jones was uncharacteristically timid at this before the break, considerably better after it. Also, I am starting to wonder if some people confused defensive plays made by Beckerman for Jones actions, because they both rock dreads. As you can see below, the RSL midfielder broke up eight total Ghana moves up the middle, with five of those at the gate to the area. Beckerman made more defensive plays to guard the US box than Jones and Bradley combined. I say he, and not Jones, deserves the MOTM talk. By comparison, Jones made three tackles, all next to the sideline, and one pass interception, which was way up the field. He made all of one recovery play (colored yellow) between the areas, and had only three break-ups of any kind until the last seconds of first half stoppage time. Again, he improved in this area after the break, but was clearly more on top of this aspect of the game against Nigeria. And that about covers it. Feel free to argue with my analysis... you certainly won't be the first. But the USMNT needs a lot more impact from Jones (and Bradley, to be sure) if they want to advance from this group. UPDATE: For whatever it is worth, US Soccer, the worldwide FIFA fan survey and the foreign write-ups I have seen all named Dempsey as MOTM. Interestingly enough, those polled in the USMNT analysis forum at BigSoccer chose Jones with an astounding 82% of the vote. Combined with many media opinions around our bubble and the majority of commenters at MLSS, including several who are strangely hostile over my Jones rating, I am now very curious about this massive gulf. I am trying to figure out exactly what they saw. And my theory about mistaking hairstyles with Beckerman on certain plays seems more viable by the minute. That, and the possibility of simple beer goggles. Valid points, but still doesn't add up to 5.5. I get it...just because someone runs around a lot doesn't automatically earn them a decent rating. "Trying hard" doesn't always cut it, but Jones's intensity and work rate was greatly needed. Becks did have a better game defensively, and that matters when you have less than 40% possession. I know that if Jozy is unable to continue in the tournament, we cannot replace him in the group stage, but can he be replaced if we reach the knockout round? Well defended Greg, I felt that there was something in Jones performance last night that statistics may not show. I felt that he displayed a level of calmness (or maybe me mistaking timidness for control/calm)in the situation that the US found itself in that gave everyone at home a feeling that despite Ghana controlling the game that the US was ok and knew what it was doing. I guess what I am saying is that I felt that with MB having such an off game, Jones seemed to be the one of the field that displayed the most confidence which is what everyone is keying off of at home. Confidence and posture can go a long way in our interpretation of a performance and can sometimes positively affect the team as a whole. Also, it's not something you can show in statistics. Yeah, I just do not see how folks thought he was MOTM-level, at all. Many even say it was his best US performance ever. I do not know what they saw in it. These words like confidence, intensity, etc. do not actually describe any plays being made. 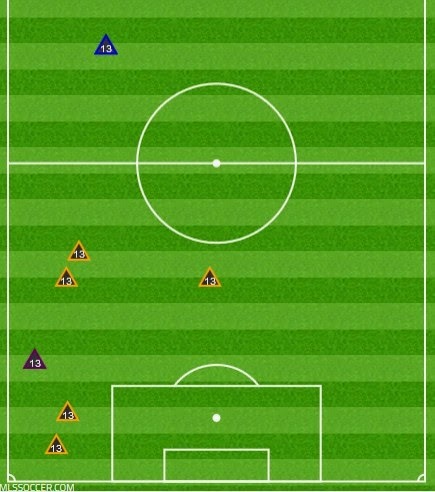 He did little with the ball all night and very little defensively beyond positioning in the first half. But positioning is not a full boat, one has to use it to effect. Overall, the midfield was bad, while Beckerman was good. Thanks for the explanatory write-up, Greg. For me, the player rankings are a way to quickly get a more nuanced read of a game that I watched from a very fan-like and less analytical perspective. So, yeah, during the match when Jones is flying around and every Ghana attack is causing me a mini heart attack, then that one or two Jones tackles or disruptions seem like he's a beast, a hero, a game-saver, etc. And I imagine that's why so many commenters on mlssoccer think you're crazy. They weren't carefully watching and logging every positive and negative play. They're caught up in the moment. The issue of course is that they still think they know better and since player ratings are not of a standardized style across writers, the reference point (especially especially after a US win) is lost. Hm. I don't know, I still feel like he was much better than the team average. I suppose I shall watch it again and try to be more scrutinizing. He assist on one of our two goals, and he was in beast mode last night. Any long winded explanations trying to defend a point to the contrary is just that, a lot of smoke. The coach klinsmann rating wasn't much better either. I think Greg is just being a poor sport because all of his "suggestions" are being ignored. And how much credit exactly do you think I should give for that assist pass? I think you accuse me of this type of so-called logic and personal animosity because it is the way *you* approach people. Do not confuse me with you. Ditto, y'all. I gave him a 5. Jones had a few big time sliding tackles, those stick in peoples mind as much as Beasley falling down did. He was good, not "great". A lot of our passing issues from deep (Geoff, Michael, and Jermaine) can be somewhat explained by Altidore's absence and lack of a winger on the left. Very few open outlets with Ghana pressing practically at our own 18 yard box. Someone is wrong on the Internet! Let's get him! Joking aside, this is a great analysis, Greg. I am so happy for the team and Beckerman in particular holds up well during the game on second viewing. As for Jones, I think his omnipresence and never-ending running was very eye-catching. And, thus, it's easy to mistake activity for quality. I thought Jones had a great game, but it was also quite obvious that literally ALL of the threats came down that side of the field. Here's the $100,000 question: if you were Klinsi, what would you do about it so Ronaldo doesn't eat Jones and Bease alive on Sunday? I'd move Fabian to LB and start Chandler at RB, but that's just me. Greg, what the heck is an assist pass? It's kind of like calling it a goal shot. I'd settle for tony m stepping up and taking a little responsibility for his opinions about our coach. Please!!! You make a salient point about the injury/set-up, but JJ and Mikey just plain missed on several passes. It was an off night, everybody has them. Very good question, I am not actually yet sure what I would do. At this point, with no Goodson available and Besler iffy, I would probably just ask DMB to play like he did against Nigeria. Get inside the shirt of that winger, I know he can do it. "Greg, what the heck is an assist pass? It's kind of like calling it a goal shot." Ummm, it is a pass that results in an assist. I was not inventing some new category, I was merely describing the specific incident so all would know which pass I meant. So yeah, I suppose it is exactly like calling it a goal shot, when the whole idea of calling it that is for quick ID purposes. "The Ghana goal did not come down our left side"
Yes, I am fully aware of that, and all those culpable were docked for it. I've been critical of you greg but I have to agree with this analysis. If your side is ever abused like our left flank was then something is wrong. Ghana is not nearly good enough to the point we should be backed into our own area literally the entire game. Honestly algeria looks better against belgium right now. Finally, Ill admit I would have given an arm for landon donovan to come on at half time to shore up that left side and keep the ghanian wingers honest so they actually have to build an attack instead of just sitting on the edge of the box and whipping in countless crosses. Any ideas Greg on how to fix this team so we can actually string together more than a pass? Seems like going back to the Nigeria set-up (433, Xmas tree, whatever you want to call it) is one idea, though the Altidore absence needs to be dealt with. I might move Deuce up, send Bedoya to the left and bring Zusi in. If there is also a Besler absence, get back to me again. I admit I thought Jones was the difference for us. That's why he was my MOTM. However, in the light of Greg's and many others argument I can see the other side of that coin now. What tipped the scales for me is the fact that all his tackles hurt the Ghanaians more then anyone else's. He was so under the skin of more one Ghanaian one of which went crazy incarnate and took himself off his game. Also, the tracking back that was evident in the Nigeria games was still there for Jermaine just less often. Understandable when you consider the tougher opponent and the obvious other circumstances. Going forward he was not good but who was? Anywho, I've got no problem with Beckerman as MOTM as he did his job a very high level. Related FYI: US Soccer, the worldwide FIFA fan survey and the foreign write-ups I have seen have all named Dempsey as the MOTM. Aha, but I am not grading the result. The result already does that itself. I am grading the performance. And the performance offered 38% of the ball, a 21-8 shot disadvantage, a large danger set piece disadvantage, the most important field player misused to his worst showing in years, arguably the second most important field player sitting in a suit in a Los Angeles studio and no suitable cog replacement to be found for arguably the third or fourth most important field player. Thank you, Greg - drop that mic like hot garbage! Then your coaching grade is based on roster selection that happened a couple weeks ago, not how the current roster prepared and competed in this particular game. I don't think that's a fair assessment. So Michael Bradley is making bad passes because he is being misused by the coach? Yet JJ steps up big playing left mid, a move that was met with coach doesn't have a clue when Danny Williams was asked to perform a similar role. Eh? My coaching grade was based on far more than that one aspect. It was that way in my MLSS article and I repeated the other issues just three comments above. - So Michael Bradley is making bad passes because he is being misused by the coach? Stop trying to guess what I might be saying. The comment stands alone, regardless of the Bradley passing percentage, which is only one feature of Il Generale anyway. - Yet JJ steps up big playing left mid, a move that was met with coach doesn't have a clue when Danny Williams was asked to perform a similar role. What is your actual point? Did you see Jones performing like a winger last night or something? One of us is confused again. I will concede the possibility that I have slightly underrated the Jones performance (even if I have already watched the full game twice and the first half three times). But there is no question that many folks are overrating his performance. The passing statistic does not lie. But what Jones brought in attitude and intimidation could not be measured and was invaluable. We don't usually like it but in this game, it was the X-factor. I've watched the game seven times already. Jones was a man out there last night and the coach was an orchestrator. Greg, I'm not accepting your grades for either, nor am I going to entertain your explanation, which as I said earlier, when it becomes so long winded, it is just a bunch of BS. sometimes i think dkranovic is simply greg himself commenting to create a foil to himself to liven up the conversations. Otherwise I have no idea why he comments on every article. whoscored.com has Bradley's passing at 81% and Beckerman's at 85%. Both significantly better than the team as a whole, and both better than either Jones or Bedoya. Interesting. I will say this much: I am much happier to be having THIS discussion (how to rate Jones) than sitting around soul-searching about whether Donovan should be in Brazil or not. Regardless of its merits I was going to really tire of listening to that for a couple more weeks. We could have only hoped DIK was a fictional fog of Greg's brain, but that has already been addressed by him a number of times, so for worse or worse the board is stuck with a bit of a crackpot member who likes to post the inane. While too many words and stats and facts causes some to be dismissive of a point of view, I for one appreciate them, and in this case came to look at JJ's performance differently on second watching. I still admired the work he put in, but I also paid closer attention to the issues Greg brought up in his analysis. Maybe when I get to 7 viewings my brain would be properly fried to enjoy DIK's point of view that offers limited words or stats or facts to back him up. Cause, you know, JJ was a man out there. And the team overall, save for a couple of inspired moments that salvaged 3 massive points, that was hardly an orchestra playing in tune. I think the important thing to remember here is that winning is always more important than looking good. If we all lived next door to Anne frank, then we might also think that style is the be all end all. Is that what you call adding life to discussions? Cmon, dude. Is there any single thing about my personality that makes you imagine I would so desperately chase a few extra views or behave this way to do it? Great. So long as you all now agree he should obviously be there, the matter is settled. In real life terms, the matter is still very much alive because he was sorely needed last night. I kept saying to people around me watching the game, "possess the ball" - it seemed to me that the US very, very rarely passed backwards to switch the field or just simply stretch out a possession. It was always attack, attack, attack. That did get them 2 goals, but it also led to a LOT of turnovers and very short periods of having the ball. An assist in 30 seconds. A solid night when Bradley is in the - outhouse? Somehwere other than with his head and feet in the game. At the least a 7, the rest is just excuses from Greg for ragging on the non-MLS guy. Sorry sometimes truth is what others see and not - you. Okay, I've reviewed the data but not yet re-watched the GHA-USA game. Bradley was less bad than I thought, but still not nearly where he needed to be. Beckerman was clearly doin' it up. Jones was less effective based on logged events than I thought. I'll have to see what I think when I watch again. One thing that stuck out to me was Jones had a big concentration just in the Ghana half, one just north of center, and then a cluster in our defensive corner on the left. We were muck more diamondy than against Nigeria, even with the obvious compression. I already asked once, how much credit should I give for that particular assist pass? And FYI, 95% of the time I am accused of being a Eurosnob who hates MLS. But if you have found one single thing that I said in my explanation to be untrue, feel free to share. Folks need to understand that everyone watching does not place the same values on everything that occurs. And the list of writers to have published US player ratings longer than me is a very short one. That fact is not so because I invent excuses. You may not agree with me, but that thing you are disagreeing with is honest. Good observations. That is what I saw, as well. Basically everyone on the planet besides this large number of US fans and scribes do. I needed to watch the match a second time before weighing in since I originally watched it in a very crowded and noisy bar while downing a few adult beverages. I have to say that I saw things similarly to Greg. I think JJ was about average, so I would say 6 instead of 5.5, but certainly not on par with his brilliant play in Jacksonville. Beckerman would be my highest rated MF player with Bedoya slightly behind. I though Beckerman covered well for Bradley's subpar effort. All in all, I think it was fantastic to come away with a win when quite a few guys weren't at their best. If Beasley, Jones and Bradley can step it up and play at their typical level and either Jozy returns or Klinsmann finds the right player(s) to compensate for the loss, I think we can advance from this group. And that is an accomplishment I thought improbable prior to seeing the team really come together during the Nigeria match. dikranovich, Tony M is just watching the games to keep his head from exploding. He (or I) figures that anyone fawning over that performance is likely to send him into a homicidal rage. So for the remainder of the Cup, he is going to remain on the internet sidelines. I did come out to say, way to back up your opinion Greg. I disagree, but I am probably willing to knock him down a notch on my personal scorecard. But I have to say, that was Beasley's territory as well and he gets some of the blame. My Man of the3 Match: Whoever is coming up with those great 3becausefootball Hyundi commericals. In no way was I commenting on your character I was simply wondering why dk does the things he does. I apologize if I offended you. Also after reviewing the game I would say we did not miss landon at all. Zusi did the things landon would have done off the bench; provided a decently calming influence, defended well, and delivered the game winning assist. I think the direct approach the attack was a smart move by klinsi. It didnt work after altidore went down, but things like switching the field can lead to interceptions and breaks. One thing that absolutely would have broken us was a fast break or one v ones. I counted very few breaks from ghana or one v ones so I would say klinsi did a great job in that regard. In my opinion EJ's omission is by far the most glaring as his athleticism up top was so so sorely missed even before altidore went down. Klinsi for sure got that one wrong as after rewatching ghana, there is just no way wondo can really contribute no matter who gets injured. Bizarrely, on the Guardian podcast James Horncastle and Jimbo (if I'm not mistaken) had Michael Bradley as the player they called out. Which made me wonder if they actually watched past the 45th minute. But, that said, they had many kind things to say about the US game, and they are usually a very tough crowd to please. An interesting outsider's perspective, and quite a bit different from most US scribes. Actually, he covered the least distance of the four starting midfielders (relative to time played, in the case of the subbed-out Bedoya). In fact, he barely covered more ground than both Beasley and Johnson. All in all, I am pretty baffled by the overwhelming and often hostile insistence by stateside eyes that this Jones performance was some monumental thing. No one - and I mean NO ONE - in the entire world sees any of this unquantifiable magic. Everyone else saw an average Jones showing, no better. I really have no idea what so many American observers are seeing. No clue at all. 1 - Just be aware that this poster often personally insults others and has had posts removed for bigoted comments. If it was possible on this site, he would have been banned long ago. I am only offended in the regard that anyone could imagine I would do such a thing in such a way. 2 - We do not agree with much about that game or gameplan or missing Donovan, but we do agree that Klinsi erred in not bringing a second power forward type. So who supposed to be the left wing in this match? Switch Bedoya to the left anf put Zusi on the right, and I think you may have it. I am down with the shape, but not with forcing Bradley to essentially be the second attacker. Normally I would not approve of three DM/2-way guys in the middle, but given the situation and the strengths of the opponent it could work well. The most important thing is we cannot sit back and let Portugal come at us for 60 of 90 minutes. They are easily more clinical in attack than Ghana. I think Portugal will actually give up more possession to the US on purpose, as they are probably one of the best counter-attacking teams in the world. We saw just a glimpse in the first 10 minutes vs Germany, before the thrashing began. An open game may favor them, especially with our lone striker looking through a lone ranger mask. I hate to bust the news to you, Lloyd, But I am not the one protesting. I am explaining with actual evidence to the protesters, who are protesting with a slew of personal insults and little else besides the mention of so many wondrous but unquantifiable mental aspects that Jones brought. Oh yeah, and the ridiculous accusations that I have some sort of axe to grind against the player - who I gave an 8.5 exactly ONE game ago. Do you see me using insults to de-legitimize people that disagree with me and flat out strawman distortions of what I said (which is clownish, because all my words remain here to be checked at any time)? And in case it was unclear, I am not referring to anyone on NSC. Not even He Who Lives To Give Me A Hard Time. I'm trying to figure out what you saw during this game, Greg. The fact that so many people disagree with you, yet you continue to maintain that your almighty opinion is right, tells me all I need to know about you and this blog. I won't be back. I have explicitly explained what I saw in this game, with both pictures and numbers. As for how many people disagree with me, so what? Do you want opinions from a weather vane? I also have no idea where you imagine my attitude contains anything with the word almighty in it, but then I cannot control what other people imagine. As for what you need to know about me, this is exactly the kind of bizarre hostility I am talking about. What do you imagine you know about me now? I mean, really, over one rating in a World Cup victory. Where is all this rage coming from in the USMNT bubble? As for not coming back, feel free to do as you wish. I wish you luck finding someone who will agree with everything you say forever. There's a difference between just stubborn and truly having a difference of opinion. Greg saw it differently and then explained why he saw it that way. He also said he may have been a little harsh on Jones, but still thinks he wasn't close to being MOTM. I have no qualms with Greg's position or how he's justified it, even though I may not agree. Thanks, Justin. That is what is so bizarre: it is not like I gave him a 3 and I keep saying I am not infallible. But for some reason there is a decent-sized collection of angry and vocal US fans so distraught that I did not praise the performance as his best ever, they are plum freaking out at me. By the way, in the interest of fairness, I now have seen one foreign ratings that praised Jones: SkySports gave him an 8. Of course, they also gave DMB a 7, higher than Bedoya. I for one, can't agree that Greg does not use insults to try and de-legitimize someone else's point. If you agreed once with anything resembling reality, everyone here would die of shock. Even the ones that oddly hate me right now. Here's the problem that your "explanation" exposes: players are not graded in a vacuum. 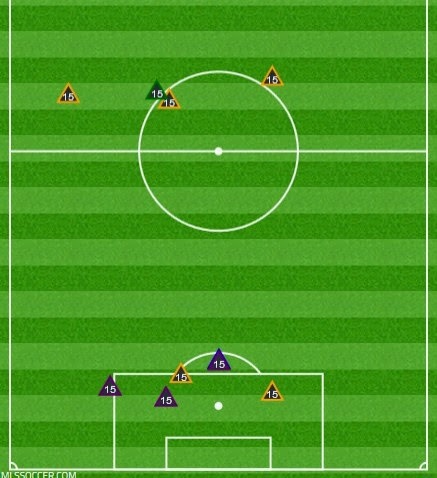 You simply cannot grade Bedoya and Beckerman a 7 while dinging the other two midfielders for failing to keep possession. You continually cherry-pick stats and numbers that support your theory, yet ignore the ones that don't. You're quick to highlight Jones' "backwards" passes while citing Bradley's high passing rate (which must include a significantly high number of backwards passes because his game simply doesn't meet the eye test). And frankly, your dismissal of those who disagree with you as "seeking to find someone who agrees with you" is really amateurish (not to mention pulling out the "there's not many who've done this longer than I have" card - longevity doesn't mean you're any good. The fact that there's such a gap between what most viewers see tells me that you're being contrarian just for the sake of sparking debate and conversation. What's the matter, is ESPN not hiring? 1 - There is no need for quotation marks around explanation. That is precisely what it is, I did it for the sake of readers understanding my grade and I did it for free. 2 - If you have any specific example of me improperly using stats, feel free to point it out. Beckerman passed cleaner than Jones did (85% to 67%), and Bedoya (also above Jones at 75%) had many of his passes further up in attack, both complete and incomplete. And Bradley completed just one backward pass across midfield (where Jones had three) out of five altogether (same as Jones, but from 15 more completed passes (33-18). 3 - My dismissal was said to that particular person and it was said to make a point. I really have no idea why anyone would want me to bend my previous opinion to match theirs. I do not even know what that is or why it would be desirable. 4 - If you actually think I write things to be adversarial or sensational for hits, then you must be new here. Is it so hard to believe that someone just has a different opinion? 5 - I have no idea what ESPN is doing. I have a job. Greg, backward passes are essential in playing the yo yo ball that USA is becoming famous for. The sixth fastest goal in World Cup history, let that sink in, and don't forget who got the assist pass on that Dempsey goal shot. How are you under the impression that I need to be informed of that assist occurring? I have already asked you twice how much value I should put on that assist pass. You give no answer. Greg, you come up with the ratings, and people get to comment on what you think, then you're free to counter any argument made against you. You rated eight players for the USA higher than jermaine jones. And you only rated one player lower than our coach, which did happen to be MB. These ratings don't sit well with me, and they suggest a disconnect, by the person who made them. You do not really have discussions, huh? There is not much I say that sits right with you, so it just seems par for the course to me. I am saying he was about average (from a game I gave no one higher than a 7, mind you). You and some others are saying he ruled the game and it was about his best US game ever. Apparently this makes me a terrible person with mental problems. Okay then, if you insist, doctor. who was supposed to provide width on the left against Ghana? Did we not have a winger at all? because you are bringing up your dark damaged soul, I think it is fair to point out that this last game against Ghana was a World Cup finals group stage match, which was a departure from all other games before it with this team. We have heard so often before this game, that these were not the best teams and they were not trying their best, and bla bla bla. Now USA wins a World Cup game, and it's very clear that scoring an early goal like USA did, it changes a teams mentality. Jones was one of, if not the best player on the field Monday night, for either team. This is a comment that holds up to scrutiny and is based on seven viewings, like seven sons, and the fact that we won. Greg, if you're not done with this topic, simple comment some more. It must be so nice to believe that your opinions are facts. Or that this is worth getting so worked up over.